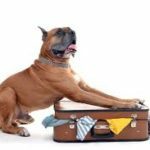 If you’re traveling with your pet this summer, here are some ideas of items to take that may be needed. 1. Collar, ID tags and/or microchip, leash. 2. Crate or safety harness . Many people who travel regularly with their pets attach a bag or folder to their pet’s kennel (which should be safely secured in case of accident) containing a leash and the records and information listed in 7 and 8. You might also wish to have a note about your pet if there are special concerns like how they respond to strangers, whether they are likely to try to run away, if they are aggressive to other dogs, etc. Often, it’s wise to have a message to this effect: “In case of accident or injury, please board dog at a veterinary clinic instead of taking to a shelter. The owners will be responsible for all charges incurred”. This has been, so far, a brutally hot summer. We know our clients are such good pet parents they don’t need to be reminded about not leaving pets in hot cars. However, there are a few other heat-related issues that perhaps are worth a reminder. 1. Hot surfaces like sidewalks, parking lots, and decks. Be sure to check such surfaces by holding your palm on it for 5-10 seconds. If it’s too hot to do this, it’s too hot for your pet’s paw pads as well. Also be careful with aging pets or pets with seizures as they may be unable to get up in time from a hot deck or patio and suffer burns as a result. 2. Water intoxication. It’s always tempting to let a water-loving dog have a fun day playing in the lake or pool, or attacking the stream from a water hose or sprinkler. But we need to remember that too much water intake can dilute the blood’s electrolytes and cause severe neurological symptoms or even death. Limit your pet’s access to water to short periods of time throughout the day instead of several hours at once, with the exception of a bowl of drinking water which of course should always be available. 3. Access to cool places. Even pets that enjoy being outside in the heat should always have free access to a shaded area with drinking water, and preferably a basement or garage that is air conditioned if they are not indoors. 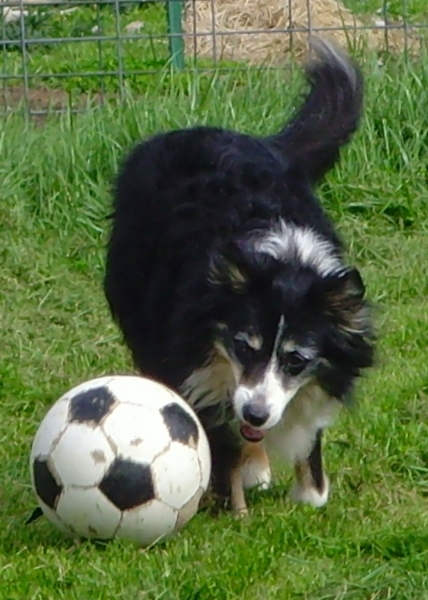 Older or overweight pets, in particular, should not be outside for long periods in the heat of the day. 4. Changed exercise schedule. In order to avoid overheating and heat injury, if you and your pet normally enjoy a walk or playtime daily, it’s best to schedule these periods for early morning or late evening when the weather is cooler. If going on walks, try to choose shaded paths when possible. And don’t forget to check sidewalk temperatures! 5. Familiarize yourself with signs of heat stroke in your pet. These include excessive panting, drooling, body temperature (rectal) over 103, red gums, little or no urine production, rapid or irregular heart rate, blood in vomit or stools, and collapse. While transporting the pet to the nearest vet, cooling the pet important. Do this by applying cold water to the groin, belly, feet, and throat areas as these will have a faster cooling effect than over heavily coated areas. Do not force water into the pet’s mouth. Wetting the coat and using a fan for faster air cooling may also help. 6. 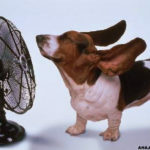 Cooling proteins in the diet may help keep your pet more comfortable in the summer. You can view these on the Therapeutic Foods list found under the Resources tab on our website. If you decide to change your pet’s diet, do so gradually over a 10 day period to avoid stomach upset. Dr Leonard will be either out of the office or leaving the office early on the following dates: July 13, July 27, August 10 (maybe), and August 24. We will be open on those dates to receive phone calls and for supplement, supply, or medication purchases but will close early. 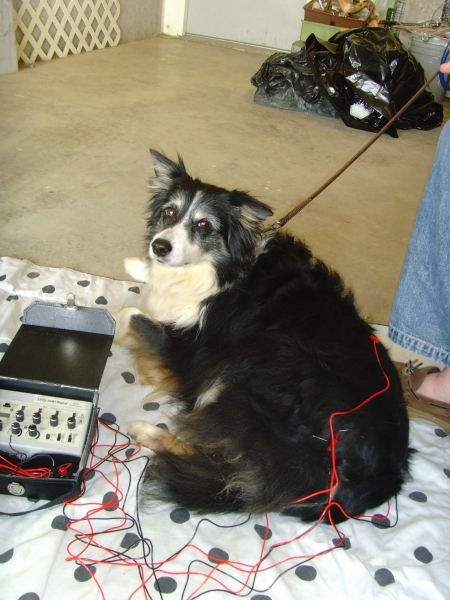 Our next scheduled time for canine massage in our clinic is August 10. 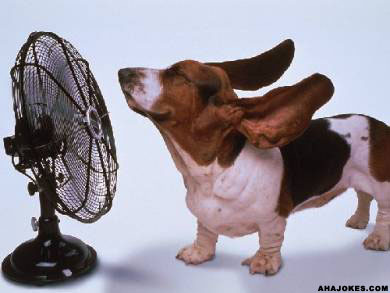 This is by appointment only so call us at 816-331-1868 to schedule a half hour of comfort and pampering for your dog. 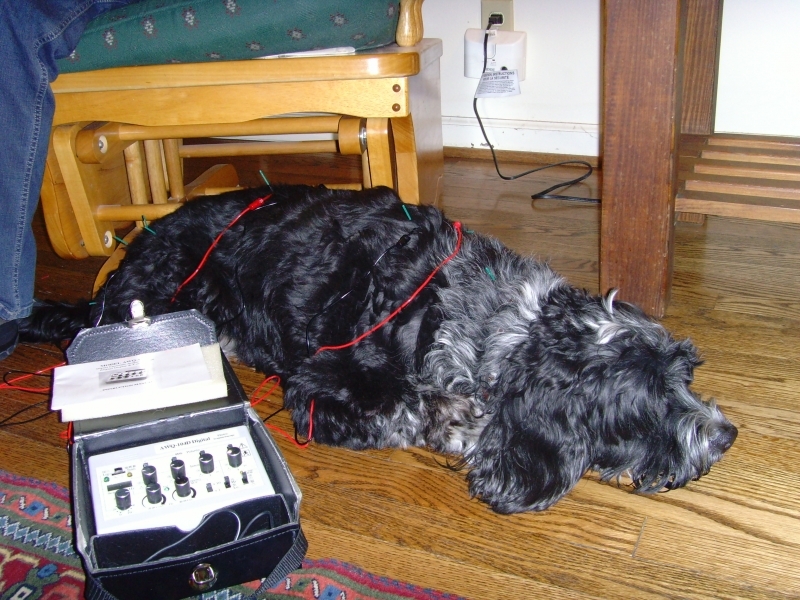 Massage is beneficial for pain, arthritis, active dogs with sore muscles, or just general relaxation and comfort. 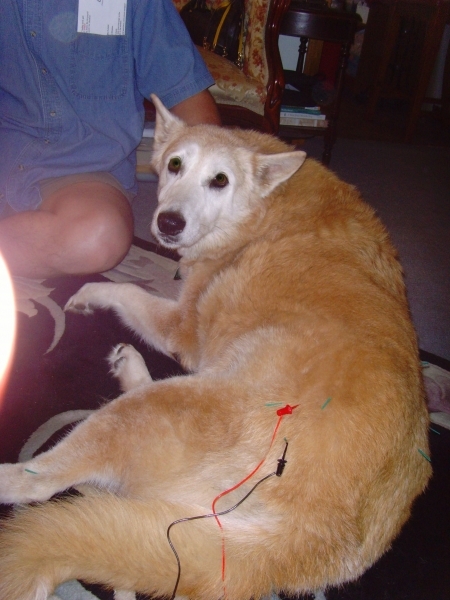 Does your dog exhibit stiffness on rising, limping, or do you know it has joint problems? Schedule a massage appointment just once to see what you and they think of it!